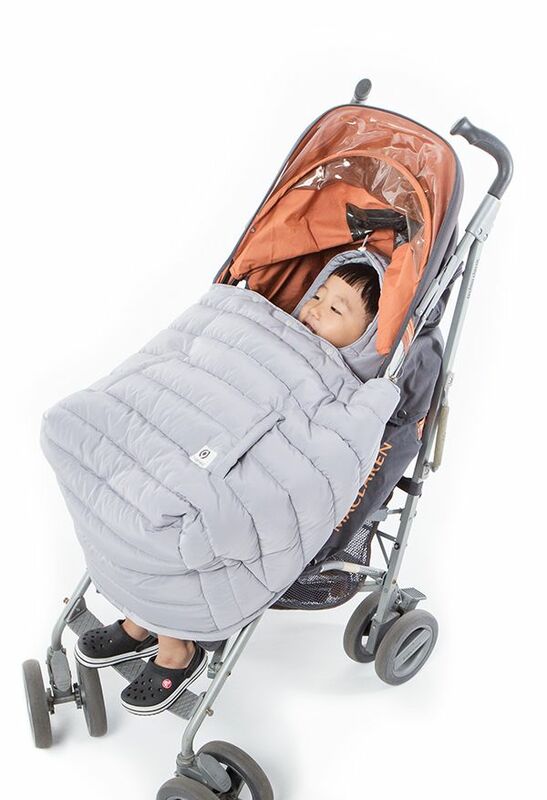 Three-dimensional pattern warmer does not stress baby body! 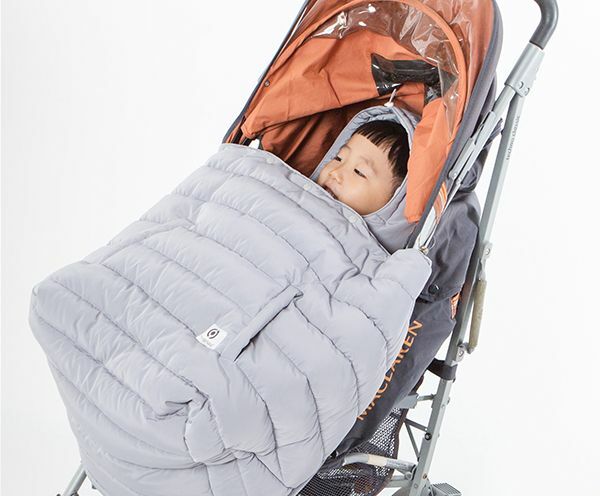 Cocoon Baby Warmer is light and warm. 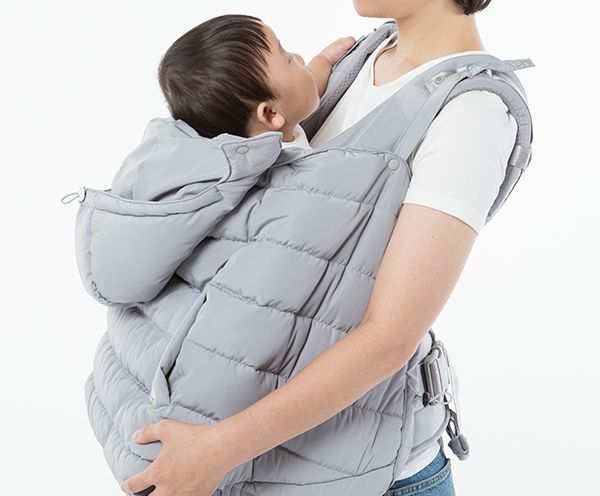 The three-dimensional pattern of the cocoon shape can be wrapped lightly without compressing the baby body, so you can hug the baby more comfortably. 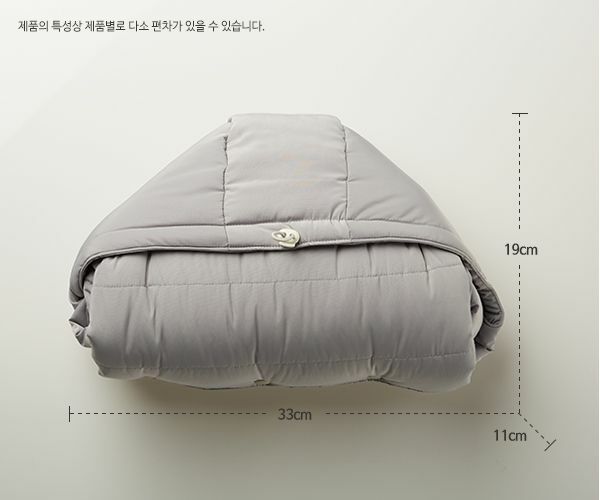 The three-dimensional design will cover the width lightly. 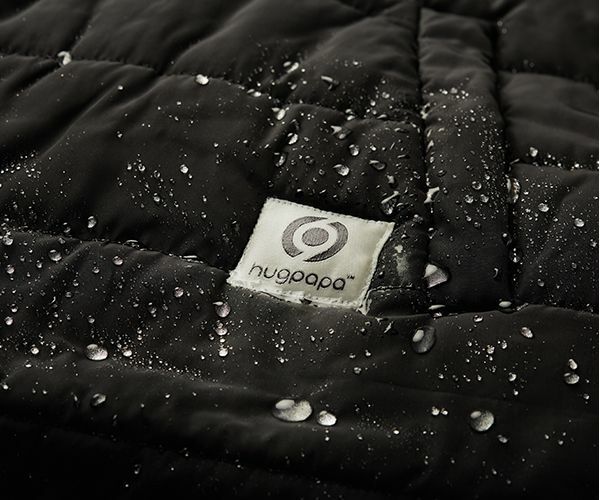 Unlike conventional planar pattern warmers, the ergonomic pattern minimizes the pressure on the baby. I concentrated on the original function of the warmer without making it complicated by multiple layers. 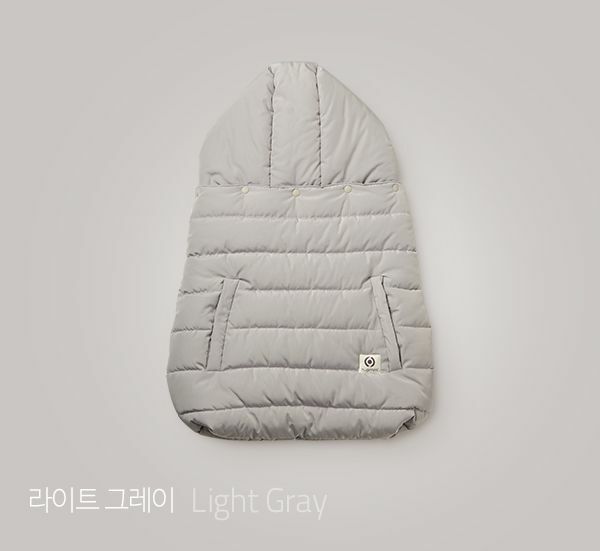 it is light and warm by padding with 6 ounces cotton . wearer can use it more lightly. 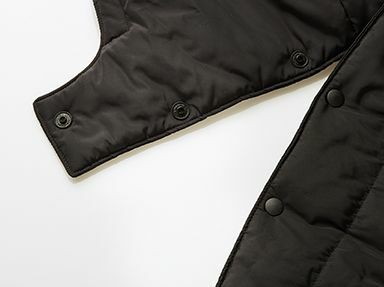 Teflon coated functional fabric prevents snow and rain. 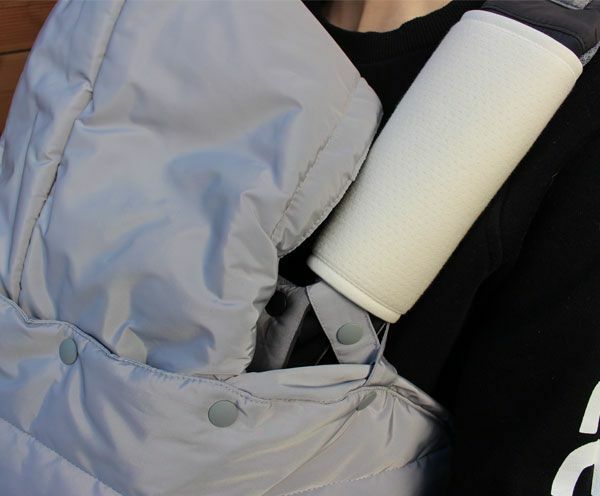 Teflon coated functional fabric provides basic anti-fouling / waterproof. 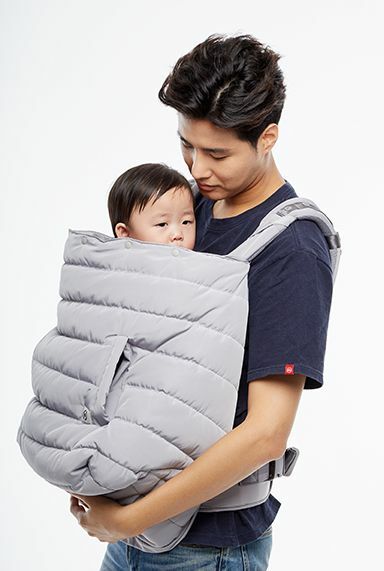 you can keep your baby warm even if sudden snow or rain pours out . 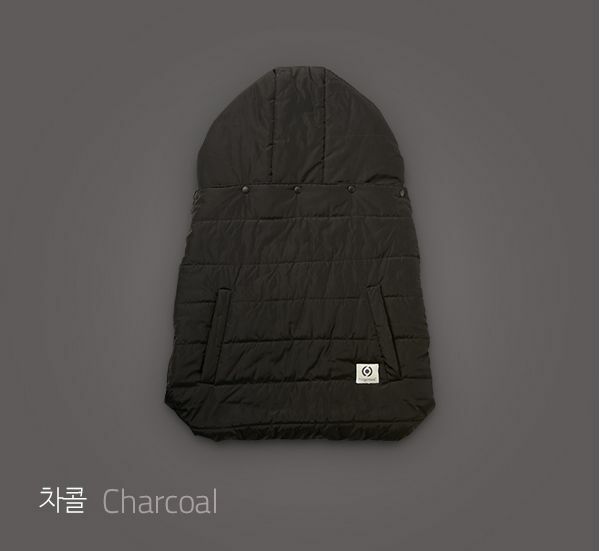 Also, it is easy to use because it is resistant to small pollution in daily life. 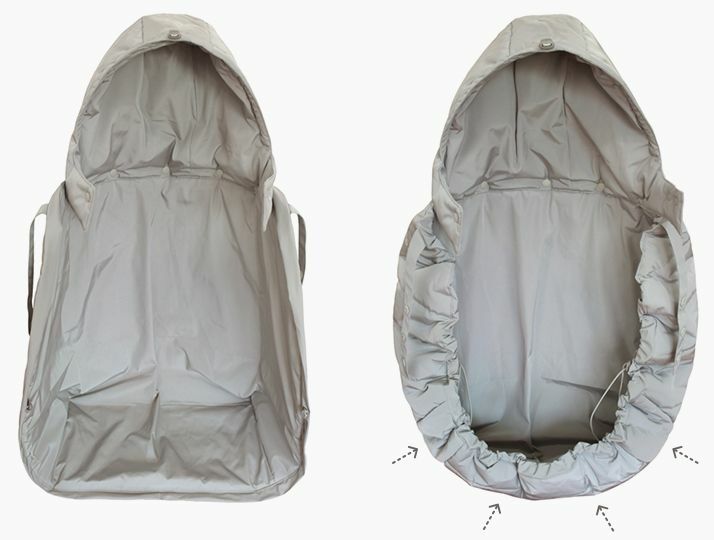 The entrance adjustment function makes it more comfortable to wrap. It can be used for various purposes anytime and anywhere. 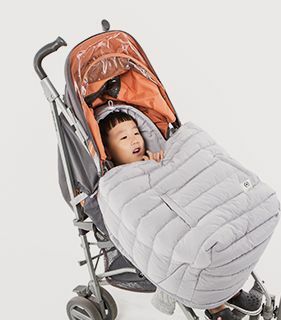 If you remove the hood, you can use it as a warmer as well as a baby stroller, a baby stroller, a car seat. 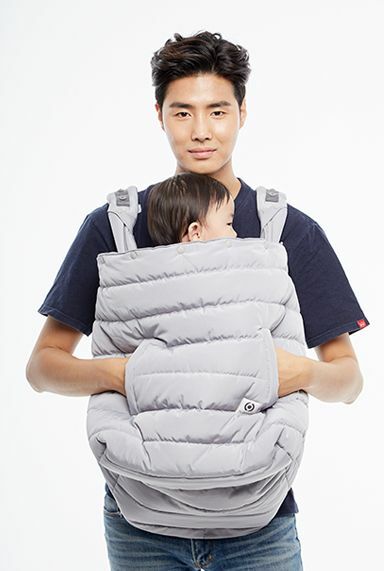 Three-dimensional pattern and entrance adjustment straps wrap your baby comfortably from anywhere. 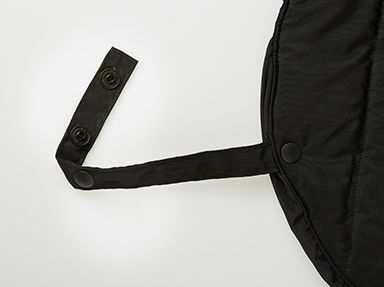 Use the snap button attached to the warmer connection strap with the snap button on the baby's shoulder strap in the appropriate position according to the baby's body. 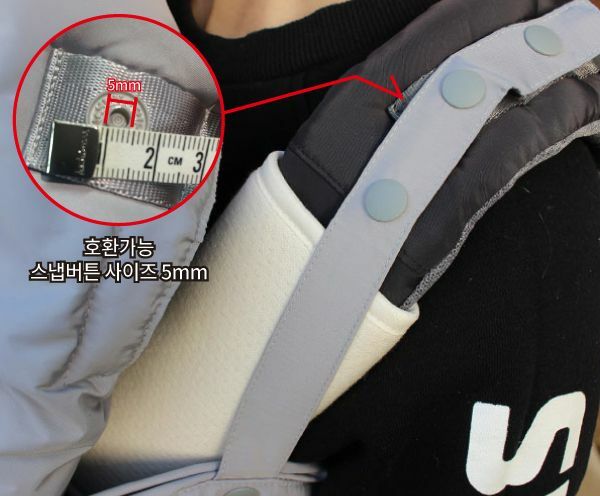 Or you can use the strap as a ring hook on the baby strap shoulder strap. 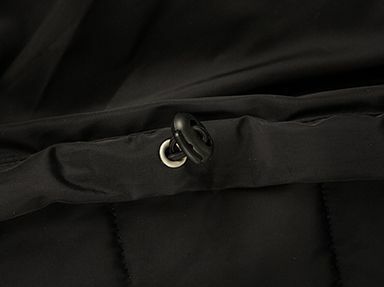 When using in a stroller or car seat, please use a ring of warmer connection string. 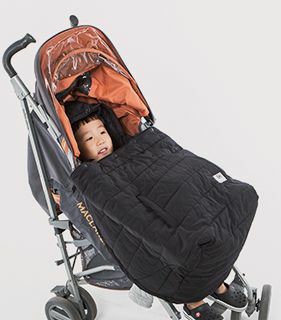 The hood can also be used as a hat when removed from the stroller. Use the stopper and string in the form of pulling the string on the bottom of the warmer and fixing it with a stopper. 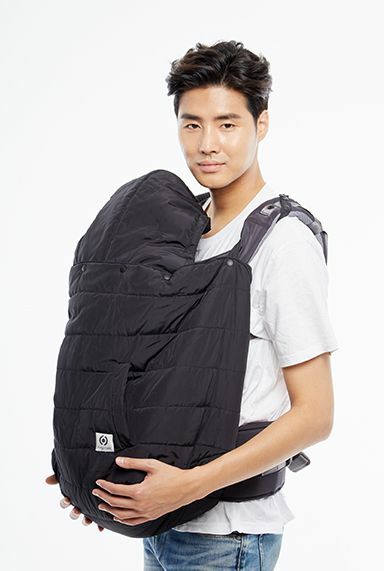 Baby strollers, baby strollers, car seats, etc. can be easily used anywhere.